Top-quality product and top-notch service for any size job. Modern Roofing has experience working on impressive commercial roofing projects in West Michigan and beyond. 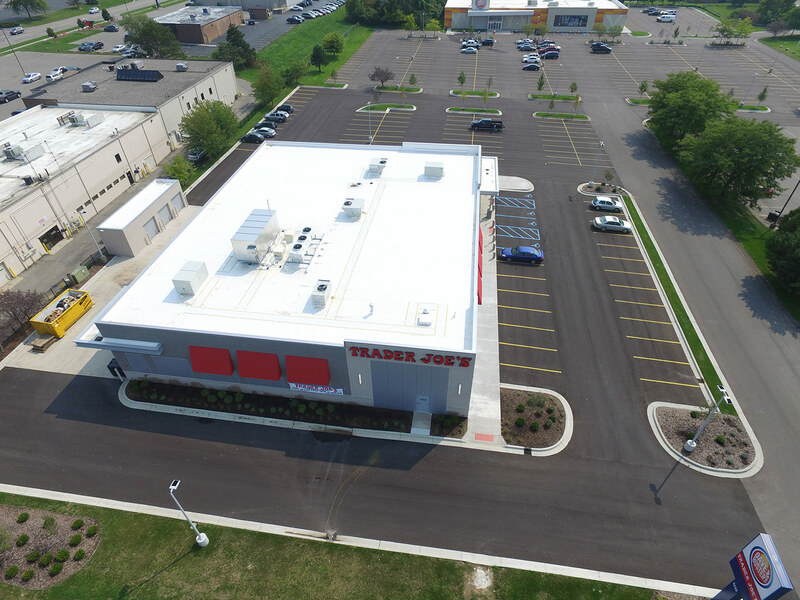 Our team of experienced and reliable contractors have completed roofing projects for Meijer stores, 5/3 Ballpark, MSU College of Human Medicine, Grand Rapids' Downtown Market, St. Andrew's Cathedral, Arena Place Apartments, among several others. 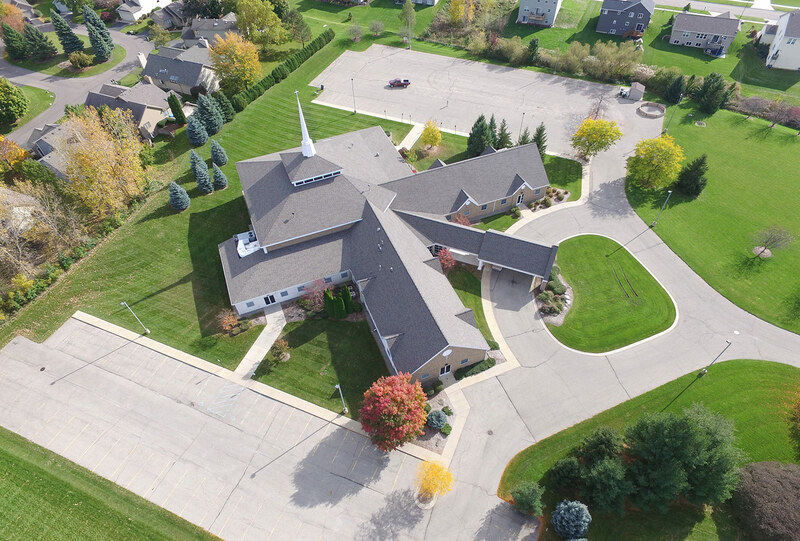 Whether your commercial building is a church, school, medical office, manufacturing plant, storage facility, residential complex, or sporting facility, Modern Roofing will deliver a quality product and customer service unmatched by our competitors. 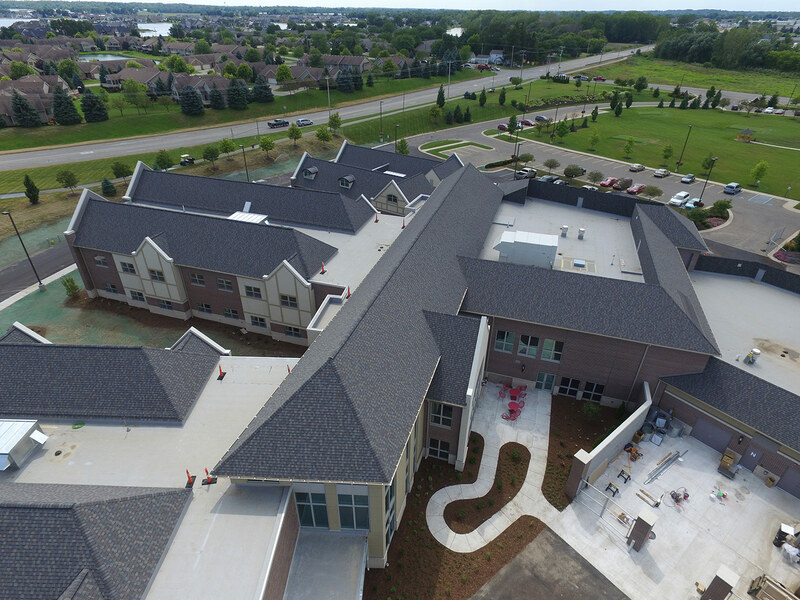 DESCRIPTION: Art Van Sports Complex was an intricate collaboration of both steep sloped, premium flat roofing and premium sheet metal trims all bundled together under Modern Roofing Inc.’s unique all-encompassing warranty ability. The steep slope portion is a premium dimensional shingle with 100% self-adhered bitumen underlayment and a 50 year lifetime 5 star warranty. The flat roof is a premium thickness white EPDM (rubber) membrane with a 30-year total system warranty covering all membrane, membrane accessories and insulation. The sheet metal component is a serpentine wall coping cap designed with multiple angles changes requiring custom fabrication of .050 aluminum in a custom color.